San Francisco, CA – April 27th, 2016, Simpactful LLC announced today that Kathryn Tesija has joined the firm to further expand their team of experienced leaders in the retail and CPG industries. Tesija comes with a wealth of experience within the retail industry, having spent 30 years at the Target Corporation, most recently as Chief Merchandising and Supply Chain Officer. She will be a Senior Advisor and Consultant for Simpactful, based in Minneapolis, MN. In her role, she will empower client companies of all sizes to improve top and bottom line results via strategic guidance, direction on sales and marketing plans, and strong operational /in-store expertise. Tesija is an experienced senior executive with a proven understanding of consumer behavior and the ability to turn those insights into actionable business strategies. 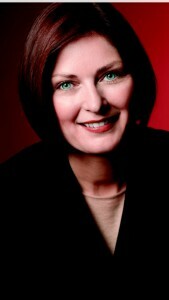 During 30 years at Target, she was among the key executives who helped grow Target into a $73 billion company. During her tenure, she helped build Target from 226 to 1800 retail stores while at the same time navigating significant disruption—as shopping forever changed from an in-store only to a seamless, online and on-demand experience. Tesija oversaw all functions of product design and development, sourcing, merchandising, presentation, inventory management, operations and global supply chain for Target.com and nearly 1,800 retail stores. After only one year of existence, Simpactful has retained over 30 clients, ranging from CPG start-ups, to established brands and retailers, to e-commerce businesses, and more. Tesija’s move to Simpactful follows soon after additions including Taylor Smith of Walmart and Brian Baldwin of Acosta Sales and Marketing, among others.